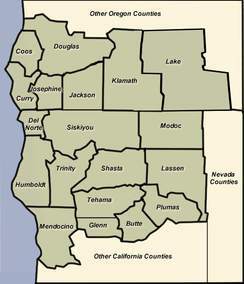 Geography: The unique identity of the mountain border region of northern California and southern Oregon, its lands and its people. 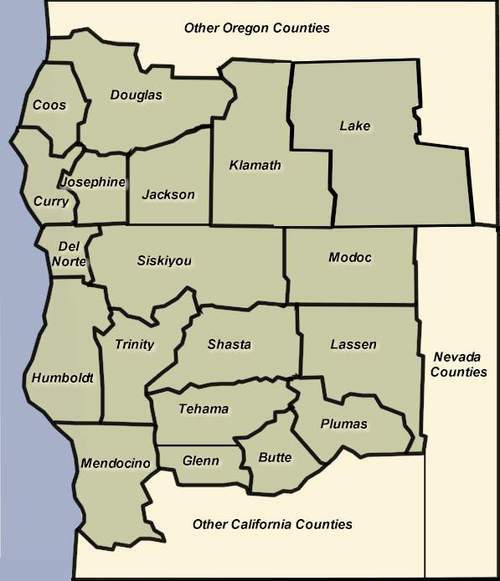 In the late 1930”s and early 1940’s there was a secession movement to combine portions of the border regions, and possibly portions of Nevada and form a new state. Many of the people of the region felt that their interests were not common with or being represented by their state governments. Much progress was made until the advent of WWII. Pearl Harbor was bombed by the Japanese on December 7th and the United States was in the midst of World War II bringing an end to the effort. State of mind: Self sufficiency, independence, resourcefulness, vision, prosperity, and the willingness to work toward a common goal are elements still alive and well.